Firstly, let me state the obvious. Brandy's artwork to this new single is absolutely beautiful! I can't stop staring at it!!!! Okay, so Brandy's back! And this baby gurl is doing her thang! Of course, she featured the one and only Chris Brown. No words can describe how happy I am that Brandy's come out with some new music, this song is FIRE!!! Just pure FIRE. A GREAT comeback song and the fact that Brandy teamed up with Chris Brown, psh.. What more can I ask for to be honest! I can just imagine this video as well .. 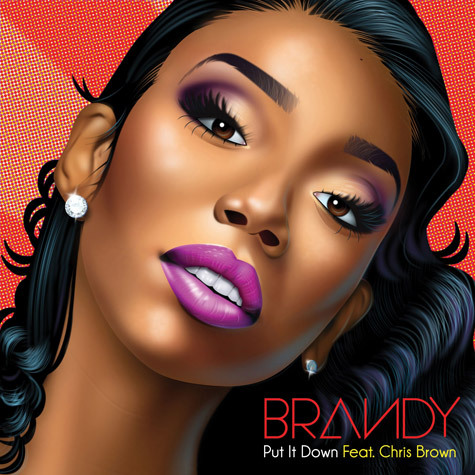 Check out the new single below, and as the song is called 'Put it Down', Brandy definitely PUT IT DOWN in this track!!! Produced by Bangladesh.